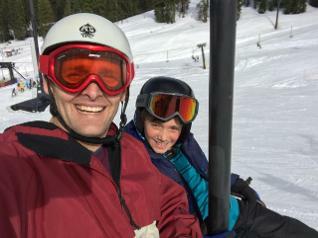 Andy and AJ at a ski trip in the Sierras earlier this year. Lots of snow this time around! Grace and Claudia participated also but I don't have a pic of them in the snow. 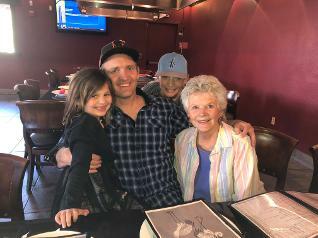 On March 26, 2019, I returned from visiting my California family, see below, with Andy and his children Anthony "AJ" and Grace. After leaving the Denver airport I got a call that someone had my suitcase and I presumably had hers. 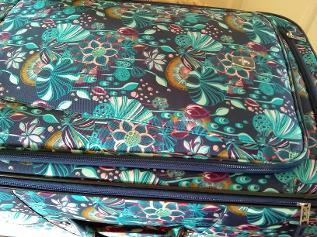 Who would have thought two suitcases looking like the pic below (left) would arrive on the same flight? I arrived rather late at the carousel-- searching for my keys and then talked with Andy about leaving them behind. So Susan probably grabbed my suitcase if it arrived first. She called my family in Roseville after she found my address book, She lives inSacramento and hoped I lived nearby. 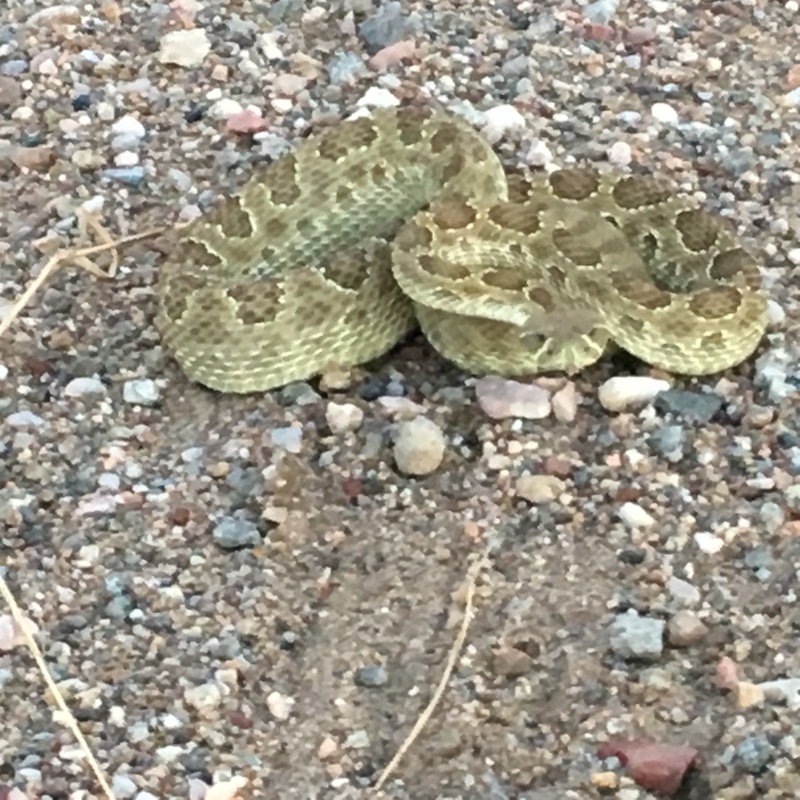 She is visiting in Ft. Collins, luckily not far from where my car was parked at GreenRide. This picture was taken at the Cheyenne Guitar Society meeting in early February 2019, shortly before I hit the road to Texas. I sang and played a version of "Cool Water" by Bob Nolan. He performed it decades ago with Sons of the Pioneers, with a male perspective in which "Dan" represents a horse. I changed the lyrics the tiniest bit to make them work for female vocalists. To me "Dan" has become a male companion. Hello from Texas. I'll be here all February and plan to start on my return tip on the third of March. Busy writing. Before leaving Wyoming I had the good fortune to come across a book about city wildlife--this one is about Chicago, which is hard to believe but true. Check out the author and title on my Book Gallery page. I mentioned elsewhere one recently-published extraordinary memoir, Edith Eva Eger's "Promise." She is from Hungary, was incarcerated as a teenager in Nazi death camps, and immigrated to the States as a young woman. Now comes the memoir of a Somali writer, Abdi Iftin, entitled "Call me American." He lived through a horrifying civil war largely orchestrated by Islamist fundamentalists. Like Eger's, Iftin's is a saga of courage and perseverance in the face of seemingly unsurmountable odds. He, too, is grateful to have immigrated to the States, though the changes brought their own difficulties. Each of these writers had considerable editorial help; hence, their books are imminently readable and artfully constructed. In fact each reads like fiction. Please check the pics of each book's dustcover on my "Book Gallery" page. Things are popping at Windy Acres. My son and family arrived Christmas Day and stayed until two days after New Year’s. It was wonderful having them with me, though much of the time they were off snow skiing, ice fishing, and visiting former friends. My personal-experience essay, “When Mourning Becomes Family Story,” has begun its appearance in the on-line literary magazine Cagibi. You can read it at https://cagibilit.com/ I've posted the link on my facebook page also. Another story, “Aftermath of a War” was published in Lit Up’s Crossroads anthology earlier this month. Regrettably, that publication cannot be accessed live; to read it, you have to order a hard copy or a kindle version from amazon.com. With all good wishes for your holiday season, here is a modest gift to my readers toward the end of 2018. In my "Creative Writing" page please find the latest in lit mag publication endeavors, while in "Book Gallery" you'll find the books I've enjoyed reading these past months. May love and kindness be with you now and in 2019. 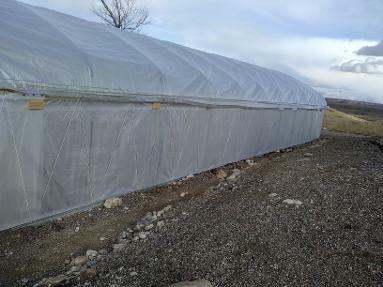 BTW, my high tunnel has fared remarkably well in recent windstorms. Today it is covered with snow bu already big chunks of the white stuff are sliding off its roof. Nov. 24, 2018. Just got word that one of my stories has been accepted in the Crossroads Anthology of Lit Up Magazine. No details yet other than the anthology will be available both online and in print. November 8, 2018.Here's a project with a lot of growing pains. It was started in June and only now got finished. Meanwhile I am still trying to recover the advance I gave to the yahoo who never got past the poles. 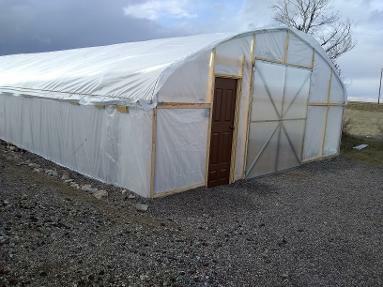 Above are a few pics of the completed construction. Next year we'll have fresh veggies, hurray! On another note, a niece with whom I was estranged contacted me and apologized for having been rude two years ago. She said back then she was having issues with family. I wrote back saying I understand; I've been through bad times myself. Then I added a story from the time Darold and I visited her family in Indianapolis--she must have been about ten. I think it was when Darold and I got married; we honeymooned in arty Brown County in southern Indiana. At any rate, my nice and her siblings called me what I understood as "Ann-Edith" and I kept saying, "I'm not Ann-Edith. My name is Edith." Today I know the children were saying "Aunt Edith" but I didn't understand; I was accustomed to the British enunciation of "aunt." Back then I never would have guessed that during my US sojourn I would live by turns in California, Tennessee, South Dakota, and Wyoming. Someone once told me he hoped to live at fifty different addresses "before I croak." Life takes strange turns, but that much upheaval would be too rich for my taste. October 10, 2018. 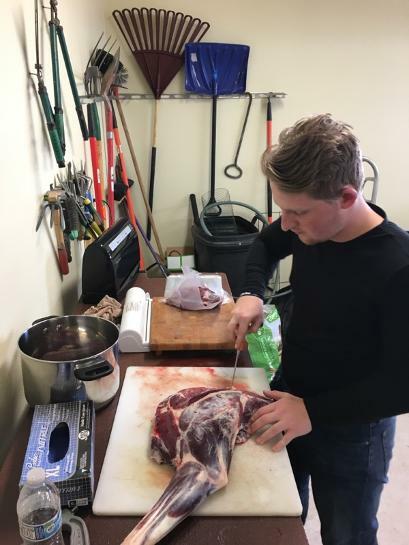 During the first week of hunting season my house was transformed into an outfitter's station of sorts. 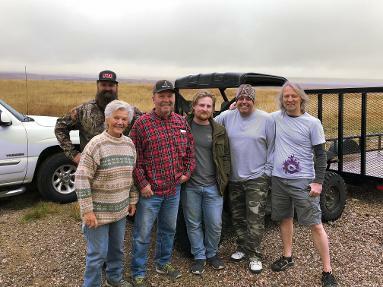 Six hunters were my guests, two of them sons and one an adult grandson. Two of the remaining three my sons and I have known since they were in second grade. Whenthey weren't out in the field the six ate three hefty meals a day, watched football games while sipping beer, played cards, washed their overalls, and slept in the warm beds I was glad to provide. In exchange they lavished favors large and small on yours truly and left choice cuts in my freezer. 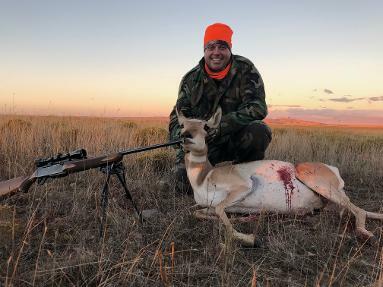 They also instructed me to submit the landowner's coupons (below) to Wyoming Game & Fish for a modest redemption fee. Hunting is a bloody business, to be sure, but no more bloody than what's killed and butchered in slaughter houses. I do not eat meat in the amounts I did when young but I still appreciate a bite now and then. I've been reading two books of essays that are as extraordinary as they are different in subject matter and writer's tone, see below. I recommend you check them out from your local library. 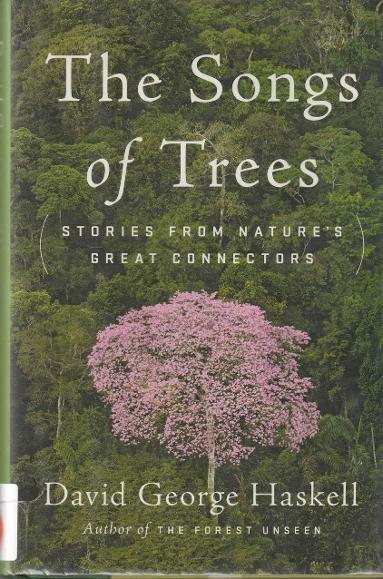 David Haskell's book on trees shares an astounding wealth of insights gleaned pertaining to trees around the world, from a ceibo in an Ecuadoran rain forest to a tree that grows near a Manhattan sidewalk to a Maple in Tennessee to bonsai in Japan to a hazel tree that grew in Scotland eons ago. 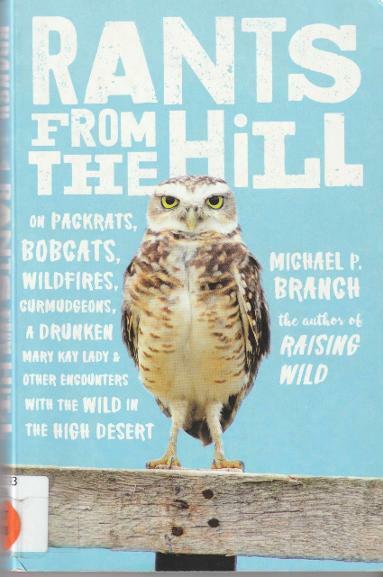 Michael Branch's rants issue from a secluded spot in the Nevada dessert. They are laugh-aloud funny even as they tackle subjects as serious as global warming and racial injustice as seen in the lack of participants of color in outdoor sports and recreation. These rants are not for the faint of heart. Read them! A few days ago--today is September 12--I sent my manuscript to an editor who promised to get back with suggestions in about a month. Having time on my hands, I worked up an essay on Erich Fromm's The Art of Loving, a book I was lucky came into my life many years ago at a difficult time. More recently I returned to it to remind myself what is was I found so compelling in Fromm's ideas. It took writing an essay to answer that question. The essay is captured in pdf formate in the "Creative Writing Efforts" page. Yesterday (Sept. 2, 2018) the congregants at my church heard a Muslim speaker, Mohamed Salih, talk about something none of us had known before. His topic, “Jesus in the Qu’ran,” was preceded by a recorded “Call to Prayer” in Arabic with English subtitles that our Worship Associate had secured. Dr. Salih augmented his lecture by reading translations about Jesus and his mother. Mary, he said, is the sole and only woman mentioned in the Qu’ran, and he showed us the Muslim Holy Book that holds the original. Following his presentation, during social hour many listeners said it was a wonderfully enlightening faith-based event. Dr. Salih—“Mo” as he likes to be called— is originally from Sudan and a retired LCCC professor. He has taken to the UUCC pulpit on previous occasion, sometimes augmenting his talk with power-point visuals of, among the things, the famous Alhambra in Granada, Spain, which has been called “Europe’s Love Letter to Moorish Culture.” In this connection I must mention the influential Spanish composer and guitarist Francisco Tárrega, whose Recuerdos de la Alhambra—Memories of the Alhambra—he composed even though a childhood accident had left him blinded. In that composition Tárrega exquisitely captures the mysterious beauty of the Andalusian palace. YouTube offers several Tárrega recordings; I urge you to give Recuerdos a listen. Tears jumped to my eyes when first I heard it. Speaking of guitar music, a week earlier was the guitar competition I mentioned to you. I was not expecting to place (which proved to be so); still, practicing for it was a good thing. It made me work on pieces I’d played half-heartedly until then. Only one member of the Cheyenne Guitar Society earned a place, and it was in the electric-guitar segment. Turns out, the town of Greeley in northern Colorado boasts of a guitar school that produces outstanding practitioners. 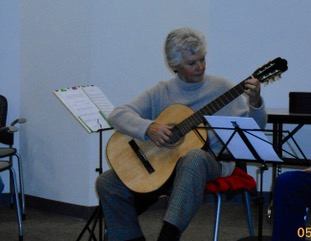 Several of its graduates or graduates-to-be were contestants in the classical-guitar division, and CGS members and other listeners were treated to many outstanding performances. The first-place winner in classical was a young woman guitarist from Denver, and the first-class winner in acoustic a teacher and Irish-band leader with an engaging personality. Their evening performances were a feast for eyes and ears. August 21, 2018: While in California I sent the composition below, a memory from my early teens, to my readers group. Some readers who could not locate it in their inbox asked that I post it here. I was close to fourteen when a family event occurred that was to weigh on me well into my adult years in the States. It began with a letter addressed to Mother—"Mutti" to my siblings and me—that announced the visit of a half-sister and her beau. My brothers and I were ecstatic over the upcoming change. We rarely enjoyed the company of family members or strangers--the hired help who served in our store on Saturdays, when customer demand was heavy, being the exception—German law decreed that businesses close by 5 PM on Saturday and remain closed until Monday morning. When an outsider did venture into the family circle, it seemed to rein in Mutti’s manic outbursts, which typically ended in beatings meted out to the older children. For Karl, two years younger than I, she used whatever came to hand—an electrical cord, a piece of firewood, a frying pan—whereas my punishment was getting yanked by my braids and flung against sink or stove or cupboard. As if that weren’t enough, invariably Karl and I were made to apologize afterwards: Mutti reasoned that we had caused her to fly out of control; thus, we were made to beg for forgiveness. Aunt Lilo’s upcoming appearance brought secret glee: There would be no beatings that day. 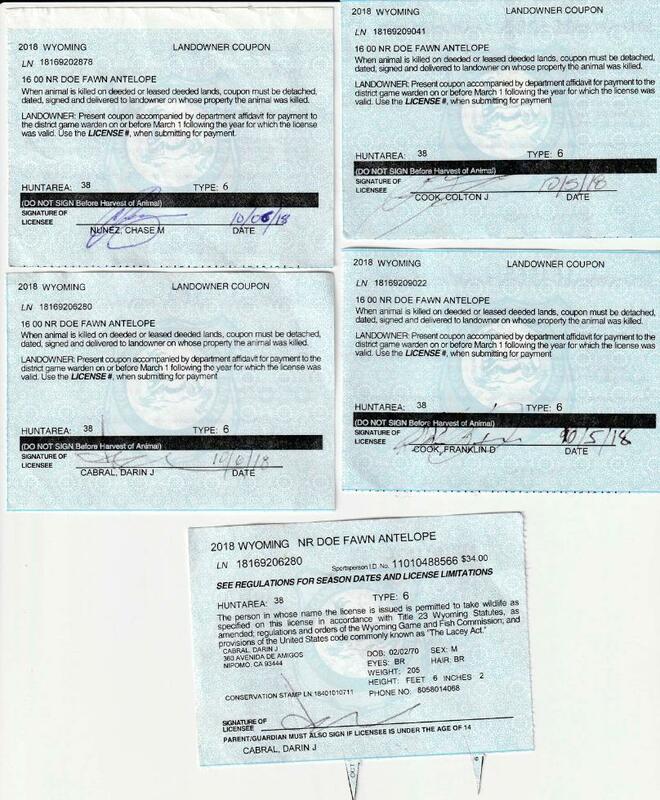 Our family had been awarded a duplex in a refugee settlement, though we did not qualify as war refugees like the many families who petitioned for housing. We’d fled to West Germany only after our dad’s release from Soviet prison camp; hence, we got the housing on condition of a loan that had to be vouched for by my dad’s sister an her husband, who was a master baker like the man we called Vati. The housing was cramped and primitive, but it was a step up from our emergency residence in the village of Vati’s birth, of which more later. The house offered no hot water and no bathroom. Baths took place in the kitchen by filling a tub with hot water from the coal stove. The kitchen sink was of concrete, while a toilet and tiny sink for washing hands was wedged in an alcove by the stairwell. Laundry day meant dragging a wringer and washtub to the outdoors, then hanging the clothes on a line. When our dad obtained a permit to build a bake house in back and my parents added a store to sell baked goods and groceries, it proved a way to stay current on the government loan, since Vati suffered from a war injury that made employment unlikely. Needless to say, Karl and I were recruited to pitch in, the two little ones being too young for it. From overhearing my parents' talk I passed sketchy details to my brother. “She is the kept woman of this man,” I whispered to Karl with no understanding of what it might mean. “She lives in a cheap hotel.” “Lilo,” I learned, was short for her baptized name of Lieselotte. Like our family did five years earlier, my aunt had fled Communist East Germany under cover of night. The difference was, Lilo had done so on promises of a man who, it turned out, had no intention of leaving his wife. My aunt's visit served to request joining our family; she would work for her keep, she said. The beau, who sat by her side as the adults sipped they afternoon coffee and nibbled on slice of Kuchen, had brought her in an automobile he drove. Of his appearance only his atrophied hand stands out today, and the fact that he was much older than she. We children ate our cakelets on the stairwell. “I hope they let her stay,” I whispered to Karl, “so I can keep going to school.” Someone would help care for our household and stock the shelves in our store, tasks left to me ever since Mutti turned unwell. For my youngest brothers the change would have been equally felicitous: They would have been spared a horrific stint in an orphanage. Reiner was eighteen months old when it happened, Helmut less than six. He related years later how terribly the trauma had damaged them both. Mutti’s decision was an unqualified “No.” Since Lilo was her relations, our dad had no say in the matter; besides, he had long shrugged off any notion of influencing his wife. When she snapped into one of her fits, he sought refuge in his bakehouse, where he read "The Horse Racing News" over a bottle of beer. It never occurred to him that his offspring had no such option, or that his presence might have mitigated the abuses rained down on their heads. The Lilo matter seems to have been a foregone conclusion, what with Mother's self-righteous indignation at her sister’s loose morals. A week after their visit Lilo's beau wrote that my aunt had killed herself. He was heartbroken, said the letter; he’d found her hanging in her hotel room. My parents never inquired into any funeral arrangements nor did they attend any memorial service if there was one, which I doubt. Lilo, anonymous victim of familial intolerance, was mourned by no one except perhaps by her one-armed brother back East, if and when he learned if it. As an adult I wondered if, by the time we encountered her, Lilo had become as dysfunctional as her sister. She had fled to West Germany without taking her birth certificate and, instead of contacting the authorities to plead for asylum, submitted to a man who lied to her. Still, I have often thought how differently our lives would have played out, had Mutti acted with the least charity toward the younger woman. Lilo was, after all, her deceased mother’s child as she was. Perhaps Mother imagined that her sister would alienate the affections of spouse and children; her fears were practically palpable. They seeped into my siblings and me as if by some poisonous osmosis, where they initiated self-lacerations that gave the lie to any notion of family. And yet, in decades to come in the States, three of my parents' children relentlessly searched for home, without will or choice, having sprung of a union damned from the start by matters they could not fathom. I have been trying and trying to get these two pictures side by side but can't seem to manage. 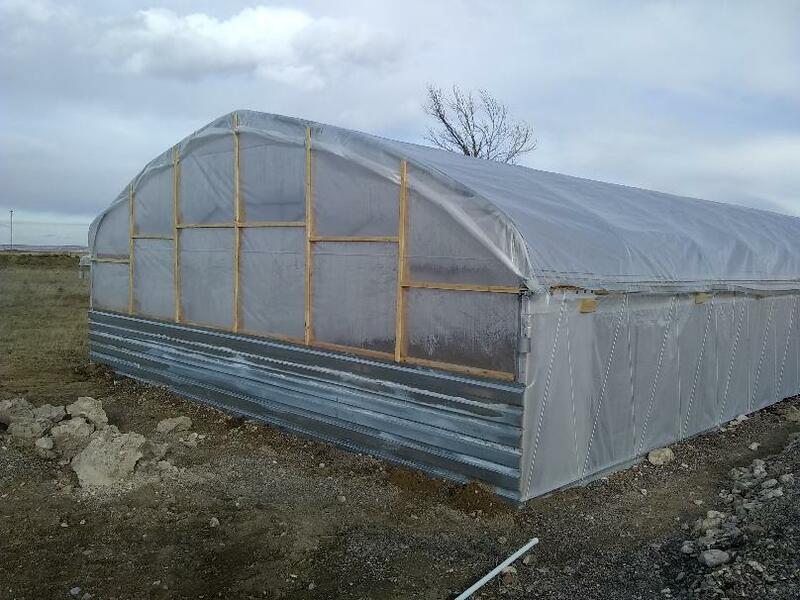 The pic above shows the beginnings of my HighTunnel aka Hoop House, These are gardening helpers formerly known as greenhouses. The week the contractor began working on the structure I was performing on guitar at a church service, see note below. The pic to the right comes courtesy of my son Walter and was taken in my backyard in the home I built near Wheatland, Wyoming, two years earlier. 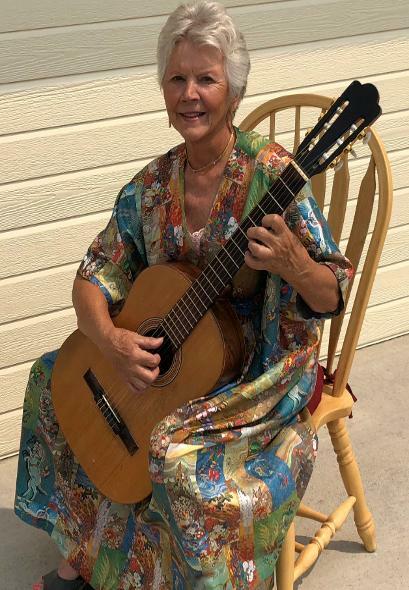 On July 22, 2018, I performed at a church service wearing the caftan, above. June 29, 2018: For the past month I have ben immersed in writing "memoir" stories; however, I took time out last Sunday to play a favorite guitar piece at Unitarian Universalist Church in Cheyenne. It is an aria sung by Orpheus from the opera Orpheus and Euridice by Christoph van Gluck, (1714-1787) "Ach ich habe sie verloren": "She is lost to me forever." Orpheus sings this as he discovers that, due to his own failings, his beloved Euridice is fading back into the underworld. Unfortunately, a couple of mistakes crept into the recording but you may listen to the recording under "Music Gallery." 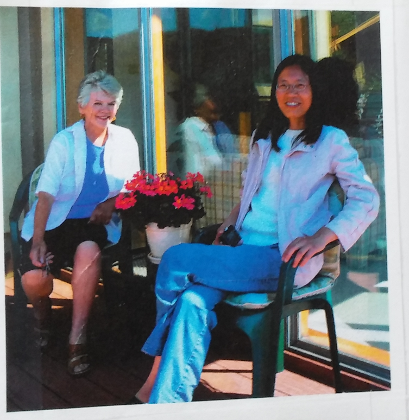 The picture to the right shows my Chinese friend and I as we visited with travel-club members ten years ago. Qi has ben back in China for some years; in fact, I visited her in Beijing in 2014. We had a grand time together, including practicing T'ai Chi in a public park in Beijing. I keep hoping that Qi will visit the US, but thus far it hasn't worked out. I miss her. 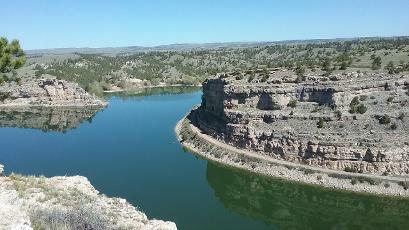 Below: In mid-June 2018, another friend and I spent a few days in Casper. 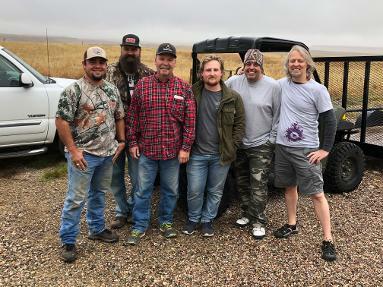 We stayed with travel-club friends, hiked around Casper Mountain, and visited the college's Tate Museum, famous for a mammoth skeleton dug up in the vicinity. "Dee" the mammoth died of old age more than 10,000 years ago. A pitch to the editor did not go as I hoped; I'm having to deal with a setback. Not unsurprisingly, as in many areas of life, the question arises once again: 'Why bother"--e.g. Why bother build a home on secluded acreage late in life? Yet I did and don't regret it. Maybe I should proceed with writing. The editorial advice in a nutshell? Any piece of writing, if it is to appeal to an audience, needs to proceed in an arc: there has to be a build-up to pivotal point and a denouement after the apex. In other words, just writing current experiences with flashbacks to the past isn't going to cut it. Since there was a time in my life where significant events happened I've decided to focus on that period. It helps that it's decades into the past, which means I don't need to check with significant others and solicit their input--they are dead or have moved on. Whether readers will be interested in long-ago events remains to be seen, of course. On May 23, 2018, I joined Wednesday Walkers as they hiked at Guernsey State Park. Wednesday Walkers are a group of women out of Cheyenne who hike every Wednesday--unless the weather is too awful to even trot around the Lions Park lake. Once a year fellows are invited to come along. The Guernsey Hike was this year's inclusive one. In the group picture I am in second row, pink shirt, sunglasses. It is mid-May 2018 and I am engaged in memoir writing, finding these two writers helpful: Annie Proulx because her memoir is set in Wyoming; Yvette Johnson because she bravely shares family trauma rooted in social injustice. Both writers regret parental silence on these family dynamics. See my Book Gallery for information & dust cover photos. 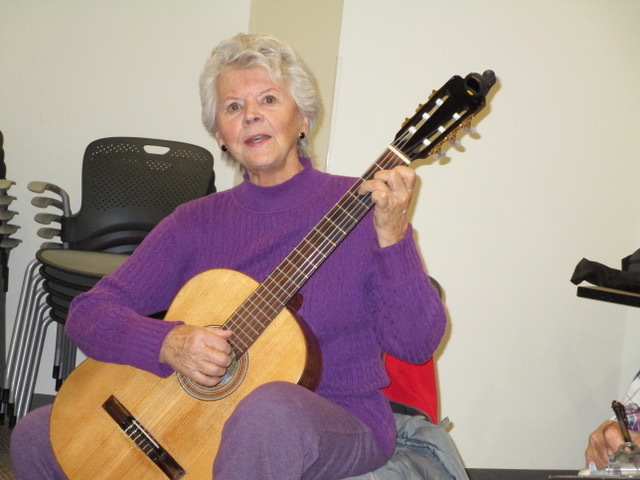 It was sweater time at the April 2018 Guitar Society meeting. I looked back with nostalgia on a visit last year to San Francisco with nephew Rolf and his family from Switzerland. Here I am with his daughter at the museum. The last few weeks I've stumbled across several autobiographies that I highly recommend. Pleae check out my book gallery. Below are pictures of my two granddaughters, one in Texas, the other in California. 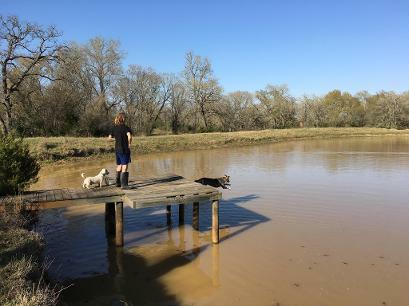 To the left is Amanda at her parents' pond in Texas. My dog Abby is swimming while her small dog Sammy watches from the dock. 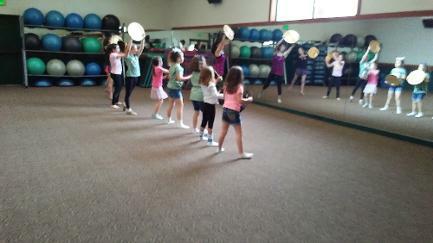 To the right is Grace with her gyn class i California preparing for a dance routine with her fellow young performers. I took these pictures in the spring of 2018 while visiting their respective families u was unable to upload them until just now. 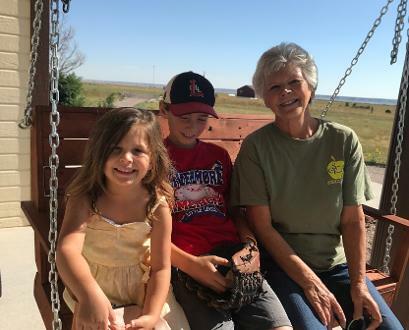 After spending January and February in Texas, the flying from there for two weeks of grandparent duty in California, I am back home in my bit of heaven near Wheatland, Wyoming. Now there's lots of catching up to do. I'm starting some plants and flowers from seeds indoors, hoping to transplant them in a few weeks. Also I'm continuing my writing of autobiographical essays and stories. I've come across some fascinating books as you will note when taking a peek at my Book Gallery. I have been trying to upload some pics from my visit to Palo Duro Canyon in the Texas panhandle but I'm running into trouble. Thus far I've een able to upload only the two images below. It is March 19, 2018, and I am currently in California, having flown here from TX, to help look after my two youngest grandchildren. 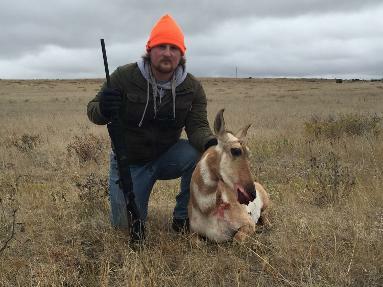 I'll be back in WYO by early April. When Grace and Antony are in school, I have a little time to read. Here are two nonfiction books I checked out from the Livermore library. You can find the photocopies of their dust covers on the "Book Gallery" page of this website. Both authors are well-known and oft-published, Neill Ferguson as historian and Luke Harding as political commentator. Niall Ferguson's book is The Square and the Tower. Here he relates the history of the world as the struggle between “hierarchical” and “network” power structures. He begins with a summary of network theory, then retells the story from this perspective, ultimately considering the future of human civilization. His central idea is that the influence of social networks throughout history has been downplayed by historians, for they rely on state archives that tend to stress the role of hierarchies. Hence, the rise in the power of social networks spawned by the computer age is mistakenly thought to be an entirely new phenomenon. Ferguson argues that the struggle between networks and hierarchies is as old as human history. This is a book for armchair intellectuals. Luke Harding's Collusion makes for disturbing reading. The implications for democracy are enormous, not just for the US but globally. Harding, a former Moscow correspondent for The Guardian, examines the sources in Christopher Steele’s now famous Trump Dossier with razor-sharp logic. 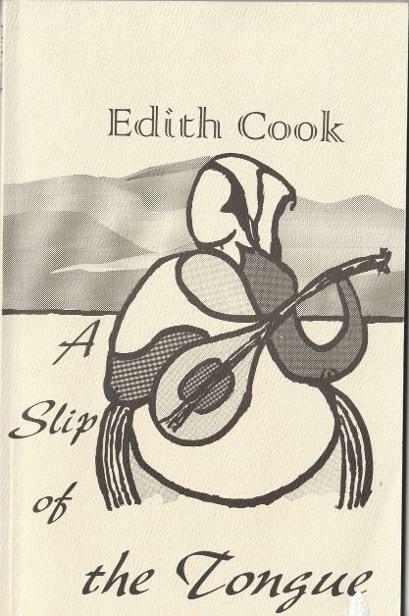 One wishes this book were fiction; sadly, though written with flair, it's far from fictional. Of particular interest: the backgrounds of the numerous Russian characters who are crucial to our understanding pf what is happening. Harding brings all these characters to life, with their charmed business biographies and their nearly universal ties to both Putin and Russian intelligence. Particularly harrowing: the likely fates of Russians who may have been Steele's sources. 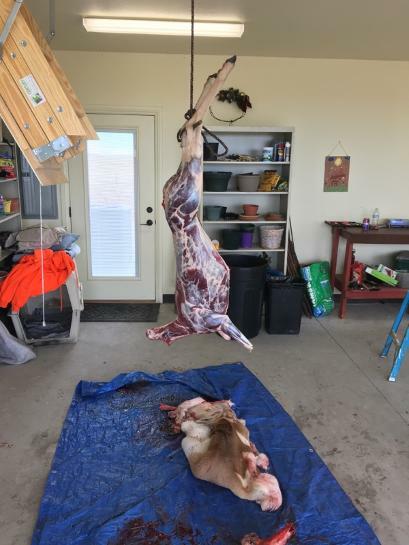 It is early Match 2018 at my son & daughter-in-law's Texas spread near Milano, a town in the southwestern part of the state you'll have a hard time locating on a map. t's not far from College Station, where the family also owns a town house. When they stay there overnight, I feed the critters at the Milano place, which includes a boisterous rooster, see pic to the right, who likes to attack anyone venturing near him. Below is Walter on his atv. 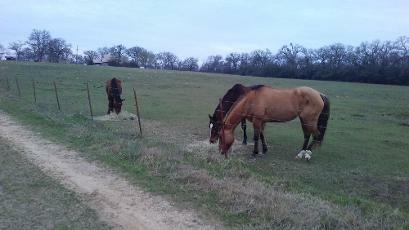 Further below: their three horses, plus the three calves, recently brought in from the pasture to be weaned. 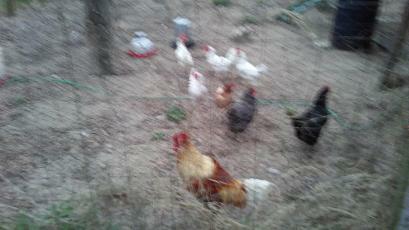 A blurry chicken pic. It has been raining and raining here in southern Texas. I'd hoped to go bike riding in College Station when I stay there some weekends, but so far, not a chance. These bikes are at Walt & Lynda's townhouse. 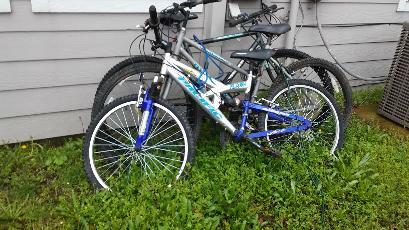 Th blue one was mine once, before I gave it to Amanda when they moved from WYO to TX. 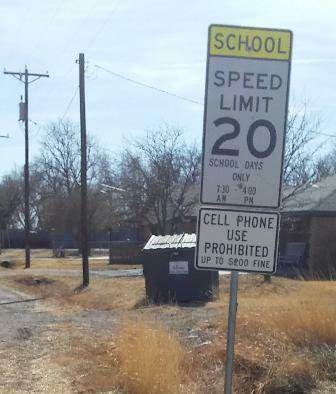 Below are the two conflicting signs in the hamlet of Bushland, TX. 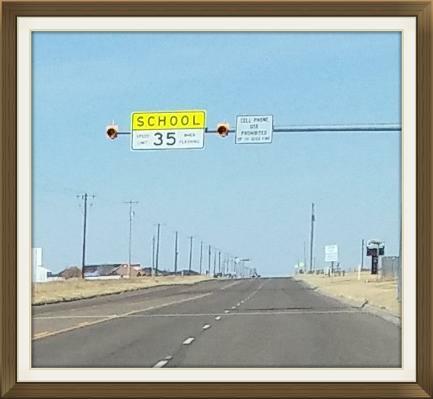 My conjecture is the overhead sign was posted by the state and the road-side sign by the city or county. 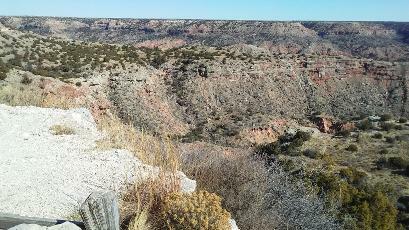 To read the story of my Bushland "misfortune," please go to the OP-ED page of this website. 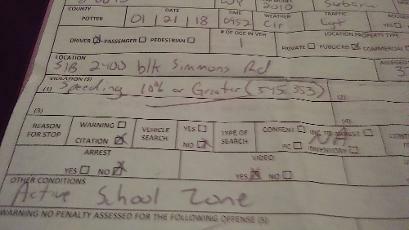 Below isthe portion of the citation dated January 21, 2018 (a Sunday) charging me with exceeding the speed limit in an "active school zone." 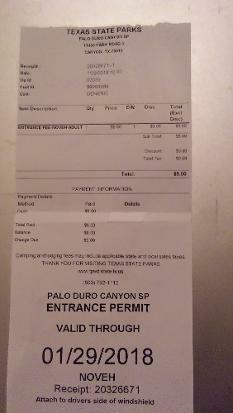 Next to it is the one-day pass to Palo Duro, showing I entered the state park on January 29, 2018, at 10:47 am. January 19. Yesterday I sent a proposed column to Torrington after talking on the phone to the editor. No response thus far. I have posting it on my op-ed page, should you be interested in perusing the same. It's awfully cold just now in southeast Texas--colder than in Cheyenne, if you can believe this! 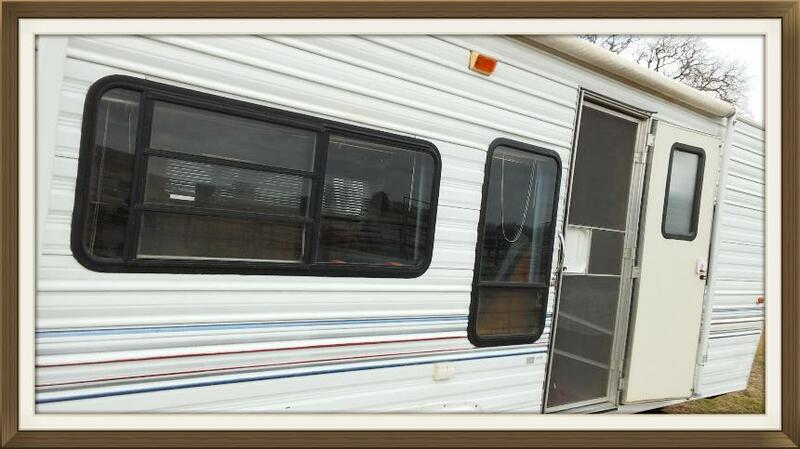 Still working on upgrades on the trailer that's my TX "home away from home" WYO. Jan 12, 2018.Not much writing since arriving in Texas, partly because the PCRT does not have an editor. Its publisher in Torrington is swamped, with no time, apparently, to look at new submissions. I’m currently addressing problems with my trailer here (a leaky skylight; an empty propane tank), plus family conflicts (of which the less said the better). On the plus side, southeastern Texas weather is not as cold as Wyoming’s, though this morning it’s overcast and misting. I meant to send season’s greetings to my reader's group but got distressed with cellphone problems. As soon as they resolved I headed for Texas via Kansas, where I stayed overnight with atc hosts. As I set out the next morning it was very cold—around 5 degrees F; in Oklahoma City it was actually snowing. Ft Worth, TX, was not as cold, but its traffic seemed worse than ever. 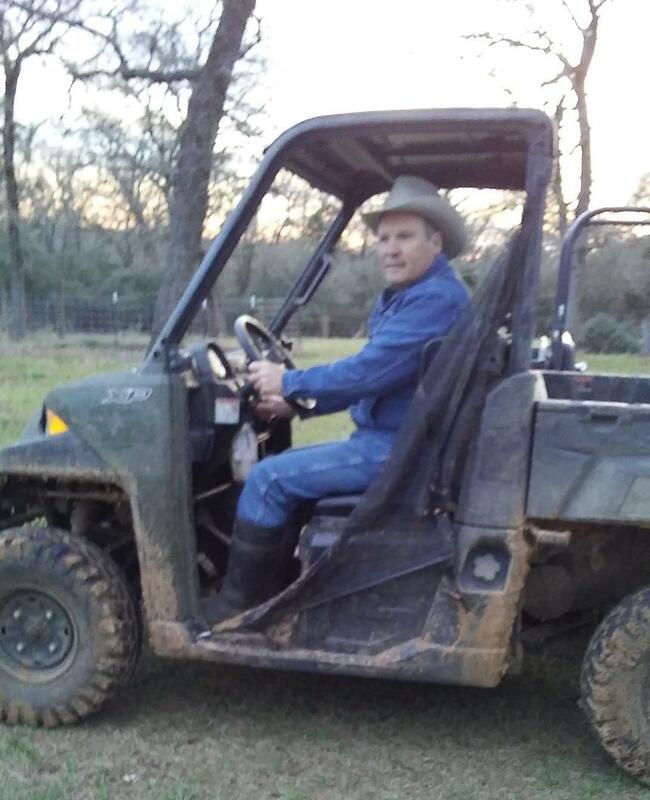 I arrived at my son & family in southeast Texas the evening before New Year’s Eve. It’s cold here also—not as bad a Wyoming cold; still, cold is cold. On the plus side, it’s forecast o be 50 degrees F by mid-week. Until then I’m wearing a ski mask when I walk the dogs. It's unbelievable the time I've had to devote to my cellphone problems. 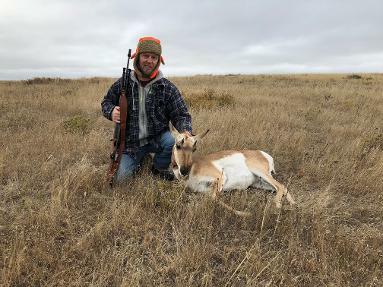 After the second batch of hunters and hunting left my home I wanted to spend time on autobiographical essays; instead, I spent hours on other people's phones trying to get my problems addressed. Earlier today I composed and submitted a column on it but I doubt it'll get published. Some of it reiterates what I explained below. If interested, go to my OP-ED page to peruse the details. Merry Christmas to all! It's a few days before Christmas 2017 and something is seriously wrong with my cell phone . I’m beginning to suspect the entire series is defective, for the replacement phone that arrived a few days ago acts the same as the old one. Without my amplifying device I can’t understand incoming callers—but regardless of the device, they mostly can’t understand what I am trying to say. Confusingly, there are times when the phone functions ok.
Further, the Samsung works fine through Bluetooth while I drive. It happens, that’s when I do most of my talking, so it’s been difficult to pinpoint what’s wrong. Also the phone often works ok in other locations—California, Texas, Cheyenne. At first I thought it was my location on the prairie that causes the interference, yet visitors have had no trouble making or receiving calls from my home. For a while I imagined my hearing was compromised despite the hearing aid and so I purchased an amplifying device called “streamer.” It helped for a while. Recently, however, even the streamer has deserted me; plus, my phone-conversation partners have trouble understanding what I’m trying to say. I finally convinced the company that the phone was defective and received a replacement, a Samsung LG Premier LTE (LG62V). It arrived on December 16. Yesterday (Dec. 18) while setting up voice mail I discovered that the new phone is just as unreliable as the one it replaced. phone where I left off with the old one, this proved not to be the case. I think the old phone was defective from the start. I had bought it last year in anticipation of my cousin’s visit; until then I owned a simple one, which I upgraded to avail myself of GPS capability. 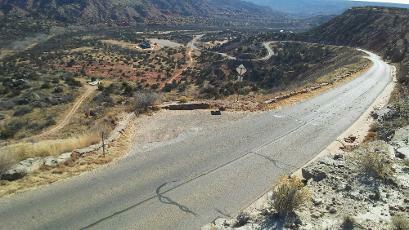 Looking back I remember instances where the GPS misdirected us (while driving in St. George, UT, for example). Later it did the same when Walt and I were returning from West Texas: my GPS added a detour of 30 minutes, which we had to correct via hard-copy map. Last October it misled me after Frank had programmed my route to Andy’s house. Although I’d driven the route before, I wanted to be guided through the increasing Sacramento traffic, not to mention nighttime driving. The GPS barraged me with so many confusing instructions, Andy had to guide me by phone conversation. Next morning we discovered the GPS was set to “walking,” which may have been due to human error though I don’t know how it could have happened. Early this morning I talked with Ron. Even with the streamer I could understand only bits of what he said; the same was true on his end. Then I called Walter who’d returned to Texas. We could not understand each other; with the streamer it was better but still, much of what I said came through garbled. I asked him to leave a message, hoping I could catch a distorted voice mail, but of course the message came through ok. Except that, while I listened, the call dropped two times, also a feature of the interference. I made two business calls; each time the recipient said she could not “hear” me. When I dialed again, the conversation was clear from beginning to end. But then I called a bank and was put on hold. In the middle of waiting the call dropped. I gave up. 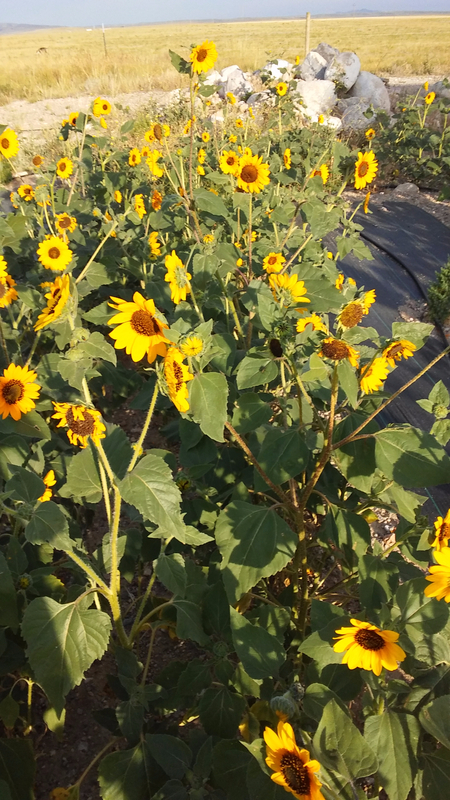 The wild sunflowers near my house have yielded to the November weather; worse, I've had a recent upset from a guitarist I thought of as friend an fellow musician. She had agreed to play a duet with me at my church on Nov. 26, then called the week before to say she had traveled out of state and would not return until the end of the month. When I reminded her of our obligation she said she was sorry I was upset. So then I had to figure out what to do. Our music director is on maternity leave, which means our choir does not sing this month and next; this is why we had arranged for the guitar music well ahead of time. I conferred with our pianist and together we chose a solo guitar piece, Carcassi's "Rondo in A Major." I had performed the 3-minute piece at the Cheyenne Guitar Society about a year ago but it needed polishing. Now I had one week to make it halfway presentable. Fortunately my audience on Sunday was forgiving--they know me well from choir performances and the occasional lecture/talk. I have also performed guitar pieces that are simpler than the Carcassi. On my Music Gallery page you will find the piece with all its flaws, as I played it that day.. It is mid-November 2017 and the Platte County Times Recorder has not published any of my pieces. The reason? Editor Jacob Hamel, who began running my columns in June, quit or was ousted, and the new editor seems not particularly inclined toward me. I get the impression it's like an incoming president undoing whatever his or her predecessor established as valuable. The last weekend in October some members of the Cheyenne Guitar Society, myself included, committed a handful of pieces to the recording skills of Harley Nelson. It was a fun and fruitful undertaking. Check out my Music Gallery page for postings. 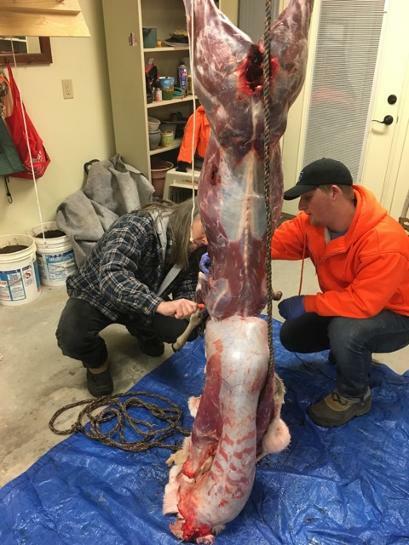 For five days last week I housed and fed four pronghorn hunters who used my garage to butcher and vacuum-seal what they harvested. 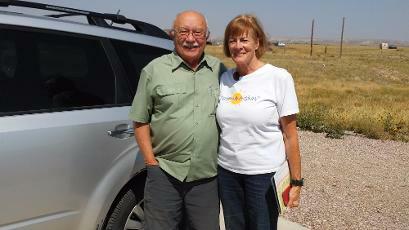 Son Walter had arrived from Texas with a truck full of equipment. Flying in from California were his brother and son, along with a friend the boys have known since high school. Below are some pictures. I composed a column about it that will come out on Wednesday--I'll post it under "OP-ED after it's been published. How time goes by! 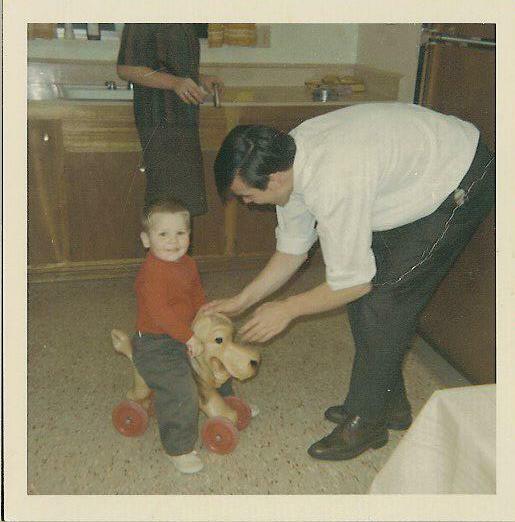 Today this toddler in the picture is the age of the uncle who decades ago brought the toy horse to our house in Santa Clara, Calif. 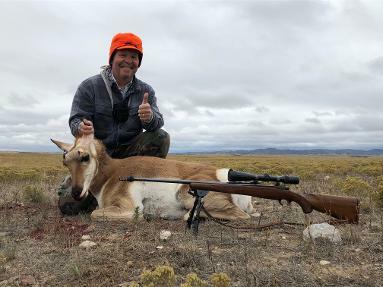 This week Walter and his middle brother are visiting my place in Wyoming to hunt pronghorn. The brother has remained in California, residing near Sacramento with is family (his older son is with him today). 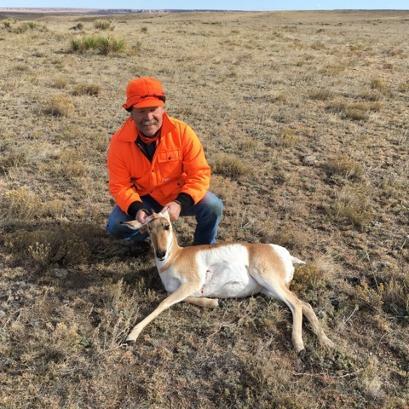 They flew in from California while Walter (above with harvested pronghorn) drove up from Texas. A long-time friend of theirs came also. Whenever I return to California I am aghast at the changes--the traffic and the asphalt jungle that have replaced the orchards of the past. Recently a rash of wildfires devastated communities north of San Francisco, including the Napa Valley wine country. Karl, my brother in the picture died young of smoke-related cancer.Let me weep. Driving on I-80 from Salt Lake City on Monday, Oct 2, 2017, put me into a snow storm that got worse as I neared Laramie. Visibility was poor and semis kept splashing slush, an unpleasant drive. I was glad to spot my turn-off 40 miles north of Laramie, but worried about the drive across the mountains from Bosler on Highway 34 to I-25. Luckily the weather cleared; no snow on the mountains and none at home. I was glad to be off the road. Next is trying to figure out how to upload pics from google drive, where my son helped me store a bunch from our outing at Lake Folsom. 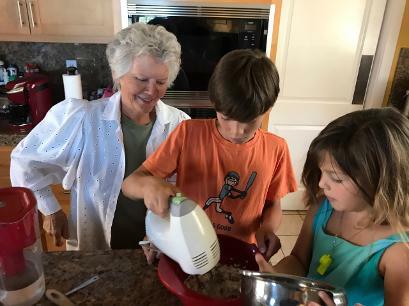 Baking cookies with grandchildren Anthony "AJ" and his sister Grace the day before leaving Livermore en route to Salt Lake City. 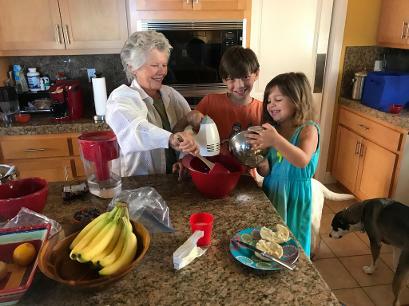 Of course the dogs have to know what's going on--you can see the tail ofLola, the children's dog, and my own dog Abby just below the counter. To the left is Grandson AJ, proud owner of a new bat. 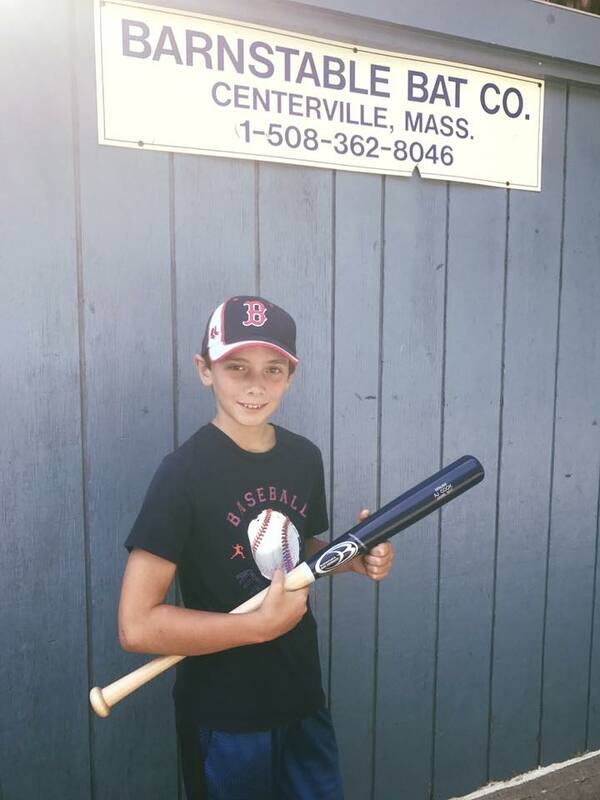 In Livermore, AJ is a devoted Little Leaguer who is getting quite good at baseball. In addition, he is also very conscientious about his schoolwork. Quite a guy! I've been in California's Bay Area for ten days, and it's been a busy time, what with showing the City to Rolf & contingent. Also have had to contend with identity theft and a compromised bank account, for my laptop was stolen in Salt Lake City while staying overnight with act hosts. My own fault, too--I failed to lock the car, thinking it safe in a private driveway; worse, I didn't think to bring my bag into the house with laptop, etc. Also lost the charger for my phone and the one for my dog's electronic collar. Them's the reals if you don't watch out. 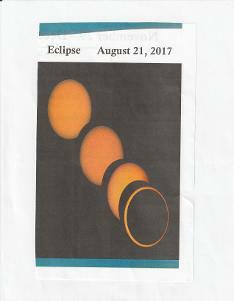 Friday, September 15, 2017: Off tomorrow to visit Calif. grandkids & family (see pic after Solar Eclipse graphic below), plus my nephew and family who will be arriving from Switzerland at the SF airport. So exited! The drive will be long, to be sure, but my dog and I will stay overnight with travel-club hosts in Salt Lake City before heading down the long road to Livermore, CA. Since Rolf and family are staying at Andy's I'll be across the street at Sister Susie's who is a former Buddhist nun. 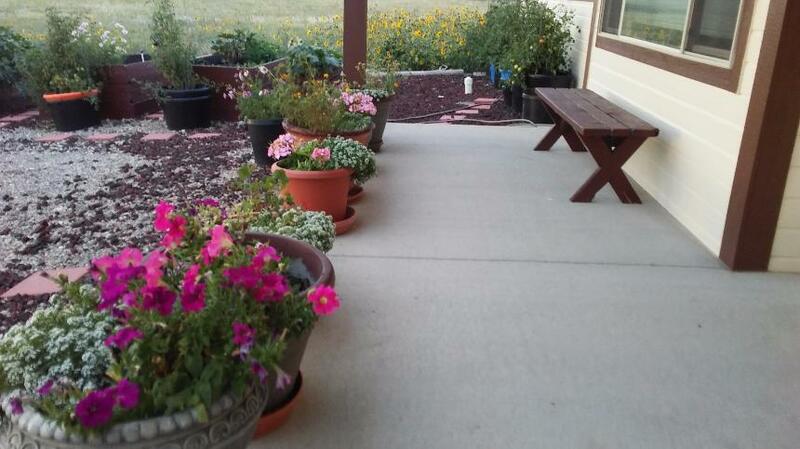 By return time, my flowers & the sunflowers pictured below will have quit blooming. It'll be fall, with north winds blowing, soon the first gusts of snow. These flowers will soon go the way of all life. Tomatoes are ripening in containers against the house wall and raised garden beds. Unfortunately, the Roma variety, so good for canning & cooking, some developed blossom rot. In back you see the wild sunflowers that invite goldfinches, mourning doves, and sage sparrows to harvest their seeds. The sunflowers are mostly brown now. To the right is my poetry chapbook, published years ago in California. On September 7, 2017, I gave a reading for which I selected the poem "Red-Tailed Hawk" from the collection. For comparison I preceded it by reciting "The Eagle," a six-line poem by Alfred Tennyson plus a few lines from Thom Gunn's "Tamer and Hawk." In this poem Gunn valorizes falconry, with a subtext of gay romance is intriguing. Tennyson and Gunn are readily available for reading on the internet. A bit from these authors' biographies: Tennyson, although he had misgivings about joining the aristocracy (whom he distrusted) was knighted by Queen Victoria. 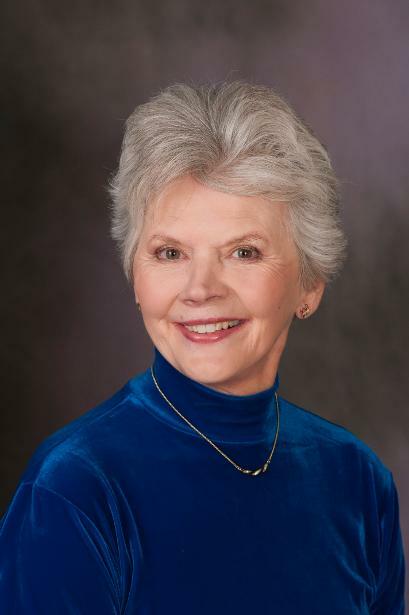 Gunn, a contemporary British writer, immigrated to the United States in the sixties. Sometimes I like to renew old acquaintances. 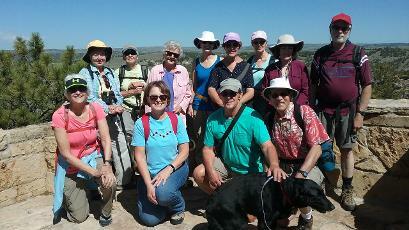 Last week I joined Wednesday Walkers, with whom hiked when i lived in Cheyenne. Only four of us this time, and Abby the only dog hiking around Pole Mountain. 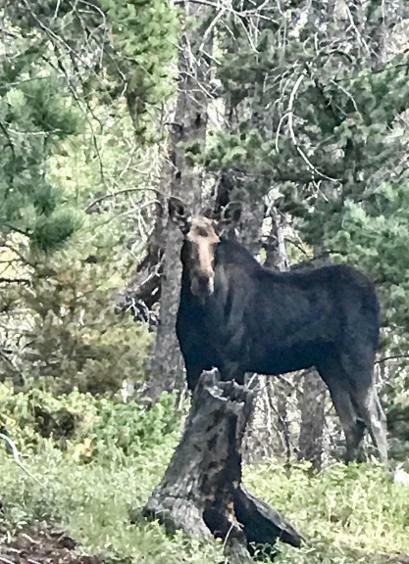 Abby alerted us to a young moose and came quickly when I called to put the leash on her. We all took pictures of the moose who eyed us warily but stayed away from our group. To gt to our meeting at Lions Park, Abby and I had to get going at 6 AM. We met at seven and got to Blair (past Vedauwoo) half an hour later. It was a hefty walk; still, we were back at Lions by noon. Stayed in town until choir practice that evening, with Abby visiting at Lynn's. The eclipse has come and gone, but fond memories remain. 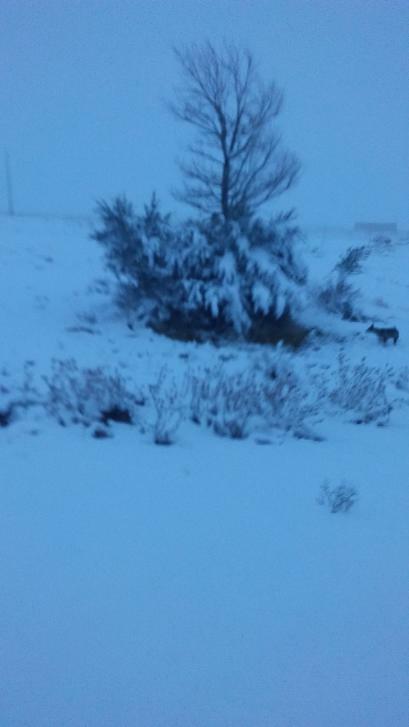 At my house south of Wheatland the view was awesome. My travel guests, however, opted to drive further north after breakfast on Monday. To the right are Donna and Doug, plus Amanda, my granddaughter, viewing the eclipse in Texas. When it turned out that Donna had left her purse at my place I ended up driving the post-eclipse congested I-25 after all to meet them at Little Bear while they backtracked from Cheyenne. I was glad to hit northbound I-25 on the way home--no traffic there! The Great American Total Solar Eclipse of August 21, 2017, begins in the Wheatland/Glendo area at 10:24 AM with maximum coverage at 11:46 AM. "Maximum coverage" means it will be dark like night, with the sun pretty much covered. The return to full daylight will take a couple of hours. I've seen warnings to expect congestion, traffic accidents, gas & grocery shortages. It is expected that up 60,000 round-trip travelers will come just from Colorado's Front Range alone. Lots of longer-term visitors from other states are expected as well, especially in the Jackson Hole area. I will be hosting two sets of travel-club guests from Sunday (tomorrow) to Monday, keeping my fingers crossed that their travel goes well. Glendo Lake is a superior spot for viewing and that's where they are headed, but I'll view the eclipse from my home, thank you, having secured ISO eclipse glasses. Though coverage at my house will be "only" about 95%, I prefer to stay off the beaten path. Aug 12: In a Cheyenne Open Exchange Library, which is essentially a box from which you take a book you haven'r read and place one from your own collection, I found a book I want to take to my grandson in California for his 11th birthday. A few years ago, my granddaughter had read it for school. The book is "Hatchet," an outdoors adventure story by Gary Paulsen, who has spent years exploring (and living within) the wilderness. "Hatchet" was first published in 1987 by Scholastic, INc, and has remained a classic ever since. August 5, 2017: After visits of sons & families, I'm little behind with my weekly post. Below is a picture of my youngest grandchild, Grace. The picture to the right shows me with Grace and her older brother AJ on the swing in front of my entry. NO pic of granddaughter Amanda--she is at a self-conscious stage. The pictures above are arranged as "gallery," which means if you click on the lower edge, a hover text will appear. The pic below is an ordinary picture of the badger. 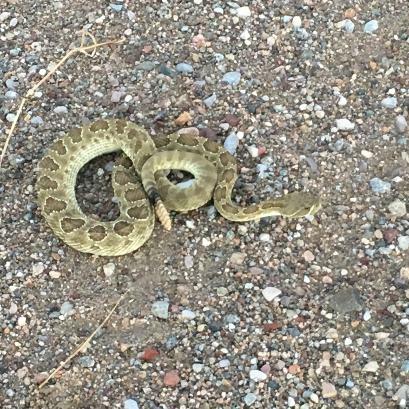 A rattlesnake had made a home for itself too close to my house. 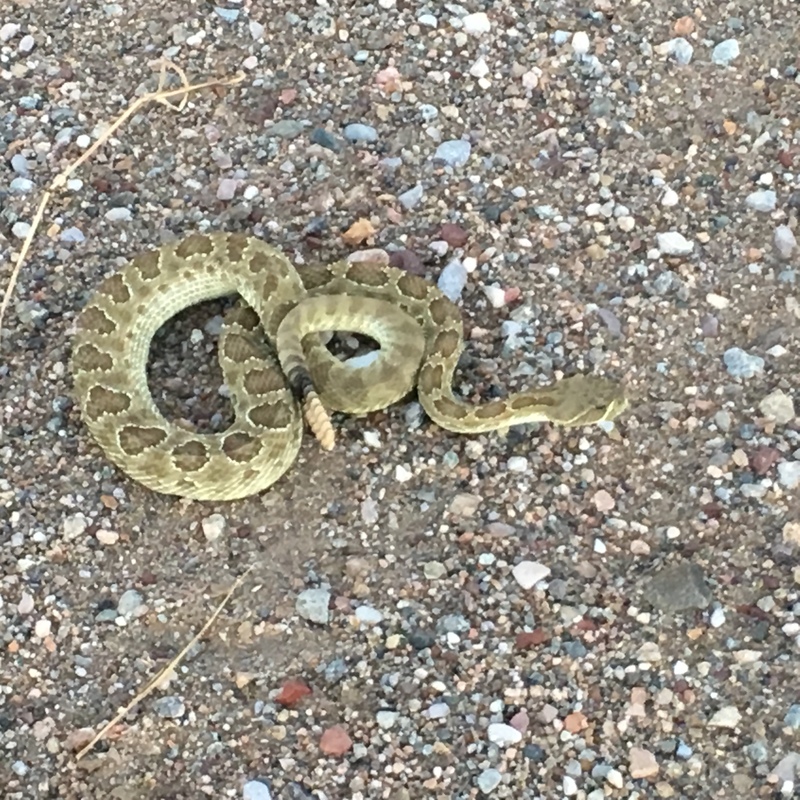 When my son arrived last week reminding me that grandchildren would be visiting in a few days, we decided to move the snake to a field away from the house. Walter explained he had heard an expert say that a snake once removed is too stressed to return to its former home. Luckily Walter is an expert on wildlife; he managed to capture the snake in a garbage can and took it down the road. Yesterday, July 18, 2017, a young badger made its way into the sunflowers that line my three rows of small trees. The trees got planted last year by the Platte County Conservation District in a cost-sharing venture that aims to use trees as natural snow-fences. I was weeding in front when I heard a commotion coming from Abby, my dog. She had spied the badger and was going wild. Before I could stop her, she'd grabbed the young animal and was shaking it. I yelled and screamed until she dropped it. I heard a painful yelp, coming either from Abby (if the badger had managed to lash out with its claws) or from the little animal itself. 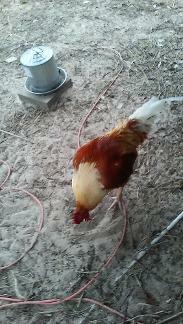 I took the dog into the house and went back t check n the unfortunate little thing. 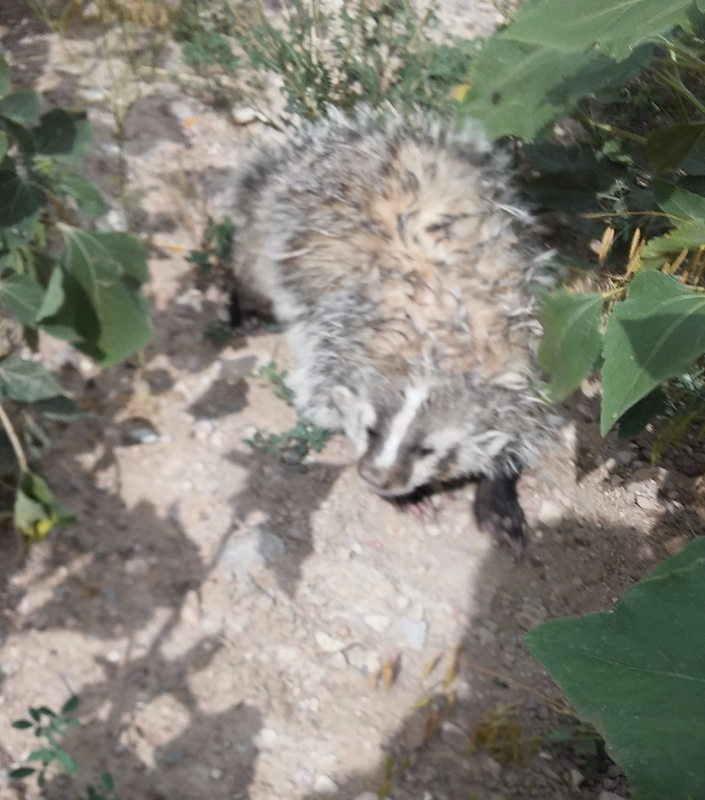 It raised itself up on all fours, puffed out its fur (which was wet from Abby's mauling), curled its lip and snarled at my in a high-pitched small voice. I went back int the house. When I checked on it later it had taken off. I hope the poor little thing makes it. This incident has been expanded into a column that's posted on the OP-ED page. Sunday July 9, 2017. Today I was guest speaker at the UU Fellowship in Laramie. My topic, "The Unexamined Faith is not Worth Living," used as its springboard the two books with which I am currently involved via writing a long essay, namely Eben Alexander's Proof of Heaven: A Neurosurgeon's Journey into the Afterlife and Richard Dawkins's The God Delusion. As you might imagine, these two books are on opposite ends of the faith spectrum. Participants in the discussion group were Laramie UU members I have long known from mutual engagement in social activism. Also part of the group were authors Jeffrey Lockwood (Behind the Carbon Curtain) and Erik Molvar (Hiking Glacier and Waterton Lakes National Parks). I love and esteem both authors and was pleased to engage with them. My column on hemp appeared in the Platte Country Record Times on June 14. On June 28, the same paper published my column on the contributions of Scully and Baily families to Wyoming two-year colleges. This column will also run in the Casper Star Tribune . To read them, please see the page OP-ED JUNE '17 AND UP. June 2017. From now on I will post here the news and events from my life that you used to find under "News Log." One item of interest to my readers: Since I now live near the town of Wheatland, I publish columns with the Platte County Record Times. The first of these posts appeared on June 14 under the headline, "The unobserved benefits of hemp" and was based on a speech I gave that week at the first-ever Wyoming Hemp Fest in Alcova. The festival celebrated our legislature's having approved the farming of industrial hemp, althoughinitially as trial plots under the auspices of the Wyoming Department of Agriculture. Playing & singing "Greensleeves" at Unitarian Universalist Church in Cheyenne on June 25, 2017. I am trying to upload the recording on my Music Gallery but haven't figured out how to do it yet. Abby has been my companion since June 2015. 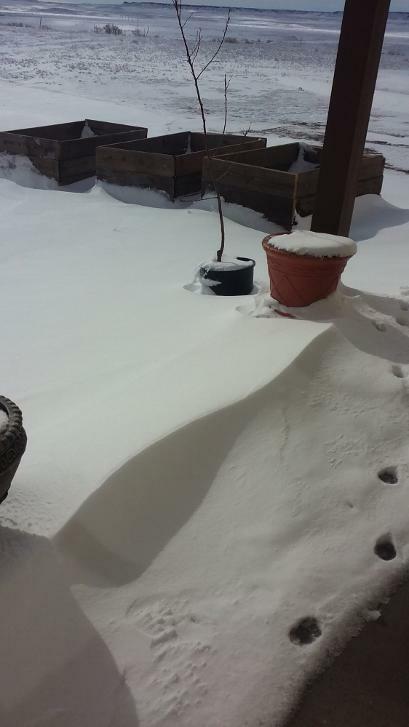 This pic shows us in the backyard of my former home in Cheyenne. Abby was 18 months old when she came to me, after having been with three different owners who had difficulties with her--as did I, initially. 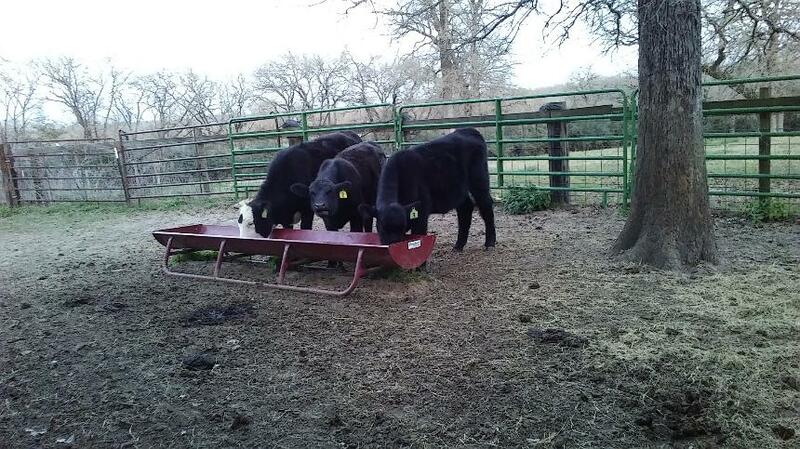 Abby settled down on my acreage. It's nice to be acknowledged. 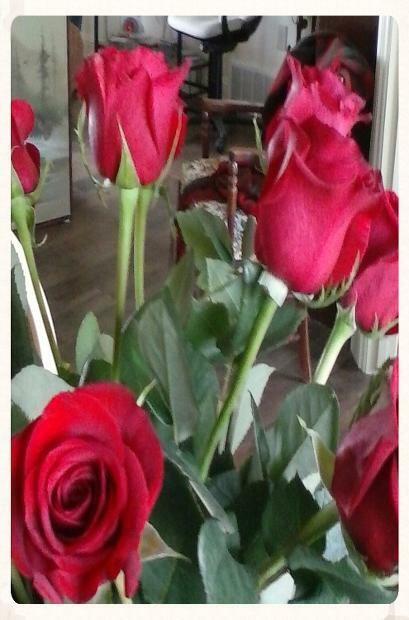 This bouquet of roses was given me, not by my adult children (who have instructions not to waste money on flowers) but by three Ukrainians who temporarily lodged with me.